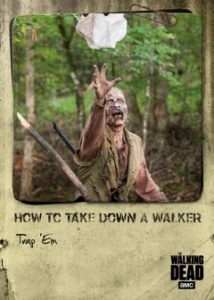 2018 Topps Walking Dead Hunters and the Hunted - Entertainment Card Checklist	Overall rating:	3	out of 5 based on 1	reviews. 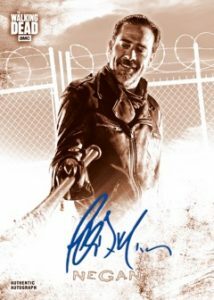 2018 Topps Walking Dead Hunters and the Hunted is a new release by Topps for their Walking Dead line. 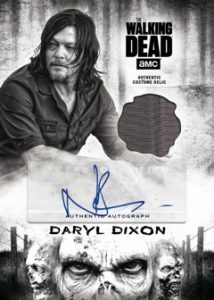 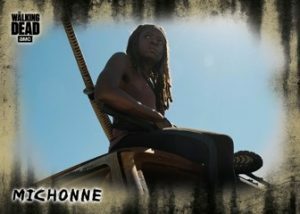 Since talking over the Walking Dead contract Topps has released a multitude of products centered around the hits television series. 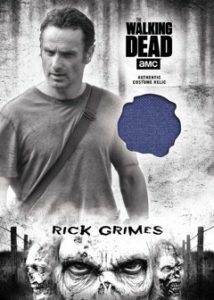 This particular release is not focused on any specific season, but rather spans the entire timeline of the series. 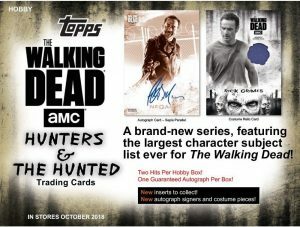 By doing this Topps has ensured that this release has the largest list of characters of any Walking Dead trading card set to date. 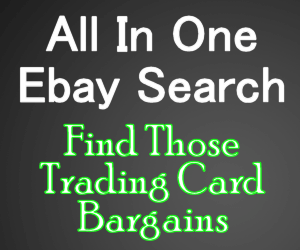 The product is available in several formats, but the hobby release guarantees 2 hits per box, with one being an autograph.